Based on research conducted over two decades, this accessible and deeply felt book provides a provocative comparative history of environmentalism in two large ecologically and culturally diverse democracies—India and the United States. Ramachandra Guha takes as his point of departure the dominant environmental philosophies in these two countries—identified as "agrarianism" in India and "wilderness thinking" in the U.S. Proposing an inclusive "social ecology" framework that goes beyond these partisan ideologies, Guha arrives at a richer understanding of controversies over large dams, state forests, wildlife reserves, and more. He offers trenchant critiques of privileged and isolationist proponents of conservation, persuasively arguing for biospheres that care as much for humans as for other species. He also provides profiles of three remarkable environmental thinkers and activists—Lewis Mumford, Chandi Prasad Bhatt, and Madhav Gadgil. 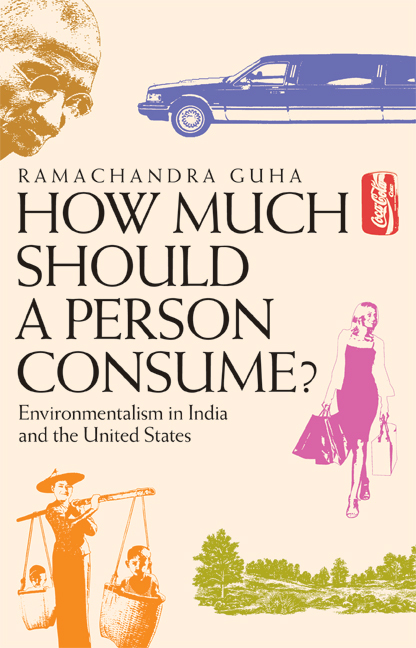 Finally, the author asks the fundamental environmental question—how much should a person or country consume?—and explores a range of answers. Ramachandra Guha has taught at the universities of Stanford and Yale. He has been Sundaraja Visiting Professor at the Indian Institute of Science, and Indo-American Community Chair Visiting Professor at the University of California at Berkeley. A pioneer in the field of environmental history, he is the author of The Unquiet Woods (UC Press), among other books. His essays have been widely anthologized and translated.